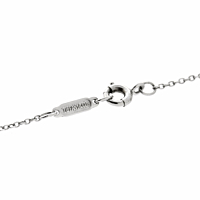 A timeless platinum diamond cross necklace by Tiffany & Co. Featuring 1.77cts of the finest Tiffany & Co vs round brilliant cut diamonds that are prong set in a platinum open frame. 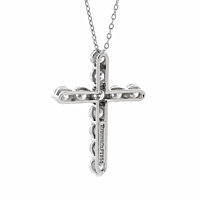 The Diamond Cross Platinum pendant drapes gracefully from a small link platinum chain by Tiffany and Co.